January 21st is Squirrel Appreciation Day! To celebrate, we wanted to share some love for those adorable critters that get attention from cats and dogs alike. Here’s an adorable video to show some appreciation for our furry, rodent friends. Watch A Mama Cat Take In Two Baby Squirrels! Here’s one from the way back files! A cat named Tammy had a litter of kittens. A mama squirrel abandoned her two babies. Would Tammy attack the baby squirrels for an easy meal? Nope! Maternal instincts trump killer instinct. The mama cat fed, washed, and too care of the baby squirrels as if they were her own kittens. Now that’s showing your appreciation! It’s heartwarming to see animals getting along so well. If only we could take a lesson from these precious creatures. Can you imagine if we all set aside our differences? 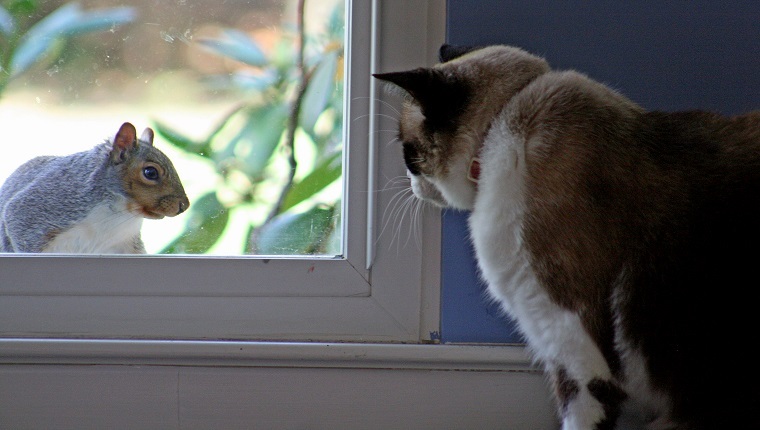 If cats and squirrels can get along, maybe there’s hope for us humans. We can dream! Is your cat excited to see squirrels? Will they appreciate these little critters on Squirrel Appreciation Day? Let us know in the comments below!